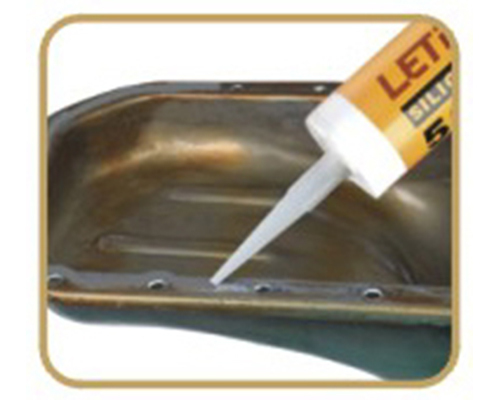 LETBOND® Anaerobic flange sealant are best suited for small gap applications and rigid metal- to-metal assemblies. It provides a tough, resilient solvent and temperature resistance. For best performance bond surfaces. Should be clean and free from grease. Apply manually as a continuous bead or by screen printing to one surface of the flanges. Low pressures may be used when testing to confirm a complete seal after assembly and before curing. High viscosity, high temperature resistant up to 220℃. General purpose, resistant to fluid, specially Suitable for the aluminium surface. Solvent resistant. General purpose, temperature range to 150℃. 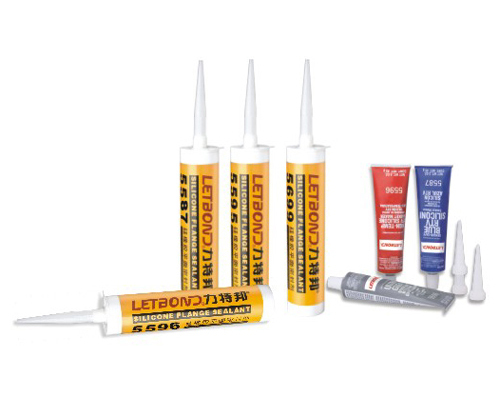 LETBOND® silicone gaasketing products are best suited for large gap applications and stamped Metal assemblies where flange flexing occurs, excellent chemical 、high temperature resistance. Non-corrosive、low odor、low volatility. RTV, oil resistant, low odor, no corrosion. RTV, superior flexibility, high tensile strength, shrinkage resistant. Temperature range from -54℃ to 260℃. Used as a form in place gasket in rigid flange assemblies. RTV, excellent oil resistant, cryogen resistant. Used for automobile, motor and international combustion engines etc. Temperature range from -54℃ to 340℃. No shrinkage and cracking. Fill gap is up to 6mm.